The stove industry owes a lot to the small Danish island of Mors, as it was here 160 years ago that the first Morso stove was made. Many restored stoves from the 1800's are still in use today! Morso continues to be at the forefront of stove craftsmanship and design as seen in their remarkable inset, freestanding and wall hanging stoves. 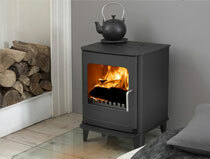 Classic Danish stove from Morso, the standard version of the Squirrel. 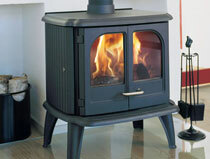 Visit our Morso Squirrel 1410 Stove page. Modern interpretation of the Classic Squirrel with black glass door. Visit our Morso 1418 Stove page. Visit our Morso 1446 Stove page. 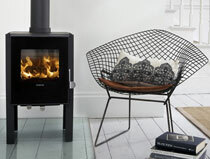 Convector version of the classic Danish stove from Morso. 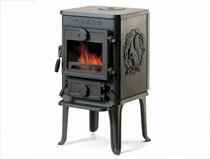 Visit our Morso Badger 3142 Stove page. Large cleanheat double door stove. 8kW output. Visit our Morso Panther 2110 page. 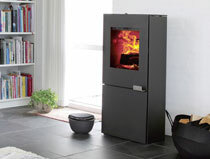 Large double door woodburner from Morso. Visit our Morso 3610 Stove page. 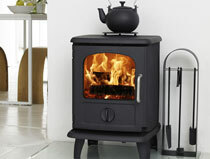 5kw multi fuel stove, the smallest in thE O Range. 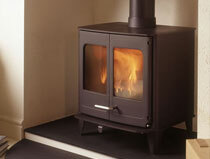 Visit our Morso O4 Stove page. DEFRA approved version of the classic Morso Squirrel stove. 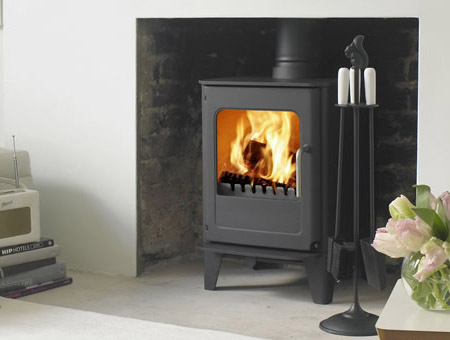 Visit our Morso Squirrel 1412 Stove page. Cleanheat version of the Morso Squirrel. 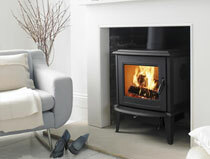 Visit our Morso Squirrel 1430 Stove page. Visit our Morso 1448 Stove page. Radiant version of the medium sized owl stove. 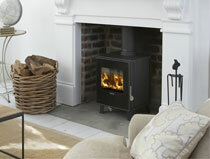 Visit our Morso Owl 3410 Stove page. Large double door convector stove . 8kW output. 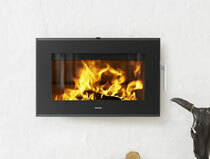 Visit our Morso Panther 2140 Stove page. 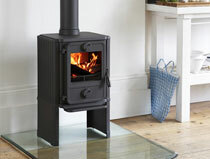 Contemporary and original wood burning pedestal stove. Visit our Morso 5448 Stove page. 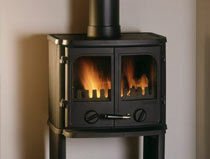 7.7kW multi fuel stove, the middle of the O Range. Visit our Morso O6 Stove page. Modern interpretation of the Classic Squirrel stove from Morso. Visit our Morso 1416 Stove page. 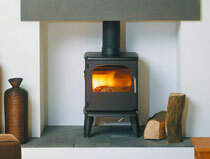 Convector version of the Squirrel stove from Morso. 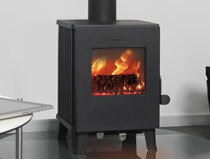 Visit our Morso Squirrel 1442 Stove page. 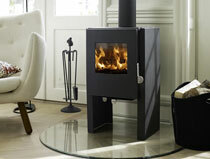 Radiant version of the classicDanish stove from Morso. 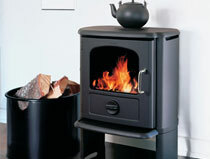 Visit our Morso Badger 3112 Stove page. Convector version of the medium sized owl stove. 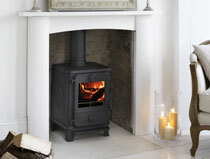 Visit our Morso Owl 3440 Stove page. 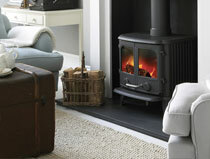 Large traditionally styled 10.5kW Morso stove. 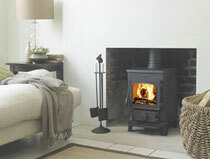 Visit our Morso Dove 1630 Stove page. Morso woodburner with cast Viking inlay to the sides. Visit our Morso Viking 7110 Stove page. Double door design. Largest in the O range with 9.3kW output. Visit our Morso O8 Stove page. The name Morso comes from the small island in the shallow sound called Limfjorden in Denmark where N. A. Christensen founded the company in 1853. It rapidly became one of Denmark's leading iron foundries, and their stoves were well know by the end of the century. The radiant stove concentrates the heat around the stove itself, while the convection stove quickly distributes the heat out into the whole room. The type you choose will therefore greatly depend on what you want your stove to do. 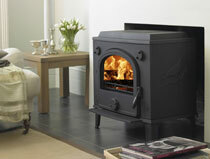 If you want cosiness and warmth close to the stove, the radiant stove is a good choice. If, on the other hand, the stove is also to play an effective role in heating your home as a primary heat source, you should choose a convection stove. It's important that you choose the right size stove as a stove that's too small will not be able to heat the room adequately and a stove that's too large will constantly need the air supply reducing to keep the room from getting too hot. This will cause soot to quickly build up on the window and in the chimney. 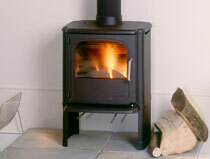 Our best selling Morso stoves are the classic Squirrel 1412 and the Morso O4 stove. 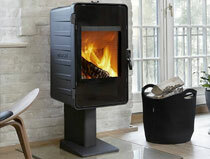 Morso stoves are available from 4kW heat output up to 16kW. Please consult with us with regards to the most suitable heat output for your intended installation. Contact County Woodburning Centre on 01724 844872 and our friendly, knowledgeable staff will answer your questions about any of the Morso stoves shown on our website. Alternatively, why not visit our 3000 square foot Lincolnshire stove showroom where we'll be happy to light up one of our Morso stoves so you can see these fantastic stoves for yourself.